Smith and Zahn left the program in June 1996, with CBS News correspondents Harold Dow and Erin Moriarty anchoring CBS This Morning for seven weeks until a new format was in place. In August 1996, the program was revamped again, as simply This Morning, with McEwen and Jane Robelot as co-hosts, news anchor Jose Diaz-Balart (succeeded by Cynthia Bowers and later Thalia Assuras, and finally Julie Chen) and Craig Allen (of WCBS-TV and WCBS-AM radio in New York City) serving as weather anchor. A new format was created where local stations could opt to air their own newscast from 7:00 to 8:00 a.m. local time, interspersed with inserts from the national broadcast; the second hour of the national broadcast would then air uninterrupted from 8:00 to 9:00 a.m. Ratings went up slightly, and at one point the program even moved ahead of Good Morning America in 1998. But its ratings success was also brief, and CBS announced its decision to cancel the program in early 1999. Robelot left This Morning in June 1999 after it was revealed that the program would be replaced. Assuras served as co-anchor and Chen as newsreader for the show's remaining five months. McEwen left the show at the end of September 1999 to prepare for the launch of The Early Show and was replaced by new anchor Russ Mitchell, who formerly conducted sports segments. The original This Morning ended in October, 1999, after twelve years. It was replaced by The Early Show, which debuted the following Monday, November 1. Though it had occasional peaks in the ratings, The Early Show was a perennial third-place finisher behind NBC's Today and ABC's Good Morning America. In its last year, The Early Show shied away from the news, features, light stories and "infotainment" approach used by program since its debut, that it based off the formats of its two main competitors. On November 15, 2011, CBS News announced that The Early Show would be cancelled, and that the news division would overhaul its morning news program effective January 9, 2012. The news division's chairman Jeff Fager and president David Rhodes revealed at the official announcement that day that the revamped and retitled program would "redefine the morning television landscape" – meaning that rather than replicate the relaxed lifestyle-driven styles of Today and Good Morning America, the new format would feature a mix of "hard news" (a CBS News hallmark), analysis and discussion. On December 1, 2011, the title of the new show was revealed as CBS This Morning. The executive producer of CBS This Morning is Chris Licht, who was hired by CBS in the spring of 2011 after serving as executive producer of MSNBC's morning news-discussion program Morning Joe. Licht's move to CBS led to speculation that Morning Joe hosts Joe Scarborough and Mika Brzezinski would follow Licht to CBS, as their contracts with MSNBC were set to expire; though Scarborough and Brzezinski confirmed contemplating offers from CBS and other networks, they signed a new contract with MSNBC out of a belief that their interview-intensive approach could not be duplicated on broadcast television. CBS instead tapped a trio of noted television veterans for the weekday editions of This Morning: Early Show holdover Erica Hill, Gayle King and Charlie Rose. Licht describes Rose, who previously hosted CBS's former overnight news program CBS News Nightwatch (later renamed Up to the Minute, now CBS Overnight News) in the 1980s, and has also served as a part-time correspondent for occasional segments since 2008 on the long-running newsmagazine 60 Minutes, as "an incredible interviewer." Licht promised an "outside the box" approach to CBS This Morning, insisting that the show would not include forced anchor banter, cooking segments, "comedic weather forecasters, [or] cheering fans on an outdoor plaza." Instead, the show begins with brief introductions and teases by Rose and O'Donnell, along with a second hour tease by King (initially introduced with the phrase "When I see you at 8 o'clock..."). This is immediately followed by the "EyeOpener" feature (introduced by saying: "Your world ... in 90 seconds"), a quick-cut video montage of sights and sounds from news that occurred in the past 24 hours, employing no on-screen anchor and a limited voiceover from Rose (the name is a play on CBS's eye-shaped logo, and its resulting nickname, "The Eye Network"). The first hour of the show, currently co-anchored by Rose, King and O'Donnell, is news-intensive and includes more original journalism and analysis, with regular contributors. The 8:00 hour, which currently begins with the "EyeOpener @ 8," recaps the news from the first hour, leading into a brief summary of the morning's news headlines, before shifting focus to interviews and discussion (à la Morning Joe) and lighter fare. True to Licht's "no comedic weather" promise, the show does not include any standalone national weather segments – this makes This Morning the only national morning news program on any of the "Big Three" networks not to include such a segment, although time is allotted for CBS affiliates to insert their own local weather forecasts (with national maps and forecasts or a text-only list of forecasts for individual cities nationwide provided for affiliates who do not insert their own weather updates, particularly those that do not have a news department). More recently, the program has utilized local meteorologists from CBS stations to provide the forecast during major severe weather events. The first half-hour also includes a 30-second segment following the local weather break, during which temperatures for various cities are scrolled alongside an inset advertisement. If additional weather coverage is warranted as part of a major news story, the program typically uses a meteorologist from one of CBS's owned-and-operated stations, most commonly Eric Fisher of Boston O&O WBZ-TV and Lonnie Quinn (former meteorologist for the program's Saturday edition) of flagship New York City O&O WCBS-TV for its weekday edition, and Ed Curran of Chicago O&O WBBM-TV for the Saturday edition. For the Pacific, Alaska and Hawaii–Aleutian Time Zones (along with most of Arizona during daylight saving time), an updated version of the broadcast incorporates a specialized greeting presented by Rose ("Good Morning to our viewers in the West! and "As you are waking up in the West..."), along with updated reports previously denoted by the reporter specifically acknowledging the viewers in that part of the country (e.g., "Good Morning and Good Morning to our viewers watching us in the West"). For stations that do not make use of the local news cutaways at :26 and :56 minutes past the hour (including CBS affiliates that do not have a news department), the program initially provided an additional segment appropriately called "The Cutaway," which features a secondary host conducting "behind-the-scenes" interviews with the hosts, reporters, and other guests. More recently, the remaining time has been filled with a taped story introduced by that day's anchor of the CBS Morning News. CBS This Morning operates out of a set in Studio 57 at the CBS Broadcast Center (numbered for the facility's street address in Manhattan, West 57th Street). The new set was originally planned for use by The Early Show before its cancellation; that program was based out of the windowed General Motors Building during its entire run which was shared with the network's NFL pre-game show The NFL Today at times, though during the final year of The Early Show, the windows were covered at all times due to the change to a hard-news focus. A section of the studio's exterior, covered in white walls and adorned with the CBS Eye logo (and also bearing the message shown at right), was featured in promos for the show that began airing in early December 2011. CBS This Morning Saturday is the Saturday edition of the program, which premiered on January 14, 2012 and is currently co-anchored by Anthony Mason and Alex Wagner. It airs live from 7:00 to 9:00 a.m. Eastern Time, although local air times for the Saturday broadcast vary significantly from station to station, even within the same time zone; in some markets, the local CBS affiliate may opt to pre-empt CBS This Morning Saturday – usually to carry extended weekend morning local newscasts – and may instead air it on a digital subchannel (such as with KWTV-DT in Oklahoma City) or a sister station (such as the case with MyNetworkTV affiliate WNDY-TV in Indianapolis, which aired it in lieu of co-owned WISH-TV until that station lost its CBS affiliation in January 2015; WWL-TV in New Orleans does the same, moving it to sister station WUPL to carry their strong local morning newscast). Most CBS affiliates in the Central Time Zone carry the Saturday edition live from 6:00 to 8:00 a.m. Central Time, unlike its morning counterparts, which air their Saturday editions on a tape delay; it is the only morning program that airs live in both the Eastern and Central time zones, whereas the Saturday edition is aired on tape delay in the remaining time zones. When it debuted, the Saturday edition was originally anchored by Rebecca Jarvis and Jeff Glor, with Betty Nguyen serving as the program's news anchor and Lonnie Quinn as weather anchor. 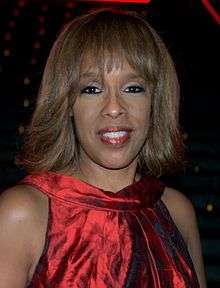 After Glor was named anchor of the Sunday edition of the CBS Evening News, the program started using various male correspondents, including Anthony Mason, Jim Axelrod, Maurice DuBois, James Brown, Byron Pitts, Ben Tracy, Lee Cowan, Seth Doane and John Miller, rotating every other Saturday. In Australia, a trimmed version (for 70 minutes excluding commercials) of the CBS This Morning weekday edition currently airs on the network's Australian news and entertainment partner, Network Ten along with regional affiliate WIN Television, weekday mornings from 4am until 6am AEST, with the Friday edition held over to the following Monday. A national weather map of Australia is inserted during local affiliate cutaways for weather. Commercial advertising is inserted instead of the usual cutaway to local news, however, near-simultaneously with the other U.S. "Big Three" television networks' breakfast television programs, with ABC-TV's Good Morning America on the Nine Network from 3:30 a.m. and NBC's Today airing on the Seven Network from 4 a.m. It is subject to preemption in regional areas for paid and religious programming. Unlike the Nine Network and Seven Network, the weekend edition is not shown and the weekday edition is re-captioned live by Red Bee Media and not converted from the source feed. Upon the show's launch, CBS executives said that they expected it would take years for a ratings turnaround in the morning time period. The program debuted to an average of 2.72 million viewers (1.11 million in the key demographic of adults 25 to 54 years old) in its first week; its total viewership was 10% lower than The Early Show's during the same week in the previous year. As of August 2015, CBS This Morning continued to show the most growth, up 12 percent in viewers and up 14 percent in the A25-54 demo vs. the same week last year. (with 3.196 million viewers). In November 2016, "CBS This Morning" came within striking distance of NBC's "The Today Show" and scored the best November sweeps month for a CBS morning show in 23 years, averaging 3.8 million viewers - only 800,000 viewers behind "Today." ↑ Closing Credits, "CBS This Morning," October 6, 1989. ↑ The Deadline. "Revamped CBS Morning Show With Charlie Rose & Gayle King To Premiere January 9". Deadline.com. Retrieved December 27, 2011. ↑ "The New CBS News Morning Show Gets a Name: 'CBS This Morning'". TVNewser. Mediabistro.com. December 1, 2011. ↑ "CBS' New Morning Show to Be Called 'This Morning'". Broadcasting & Cable. Retrieved December 27, 2011. ↑ "CBS Attempts To Recruit Morning Joe And Mika For Morning Show". Mediaite. May 3, 2011. ↑ "TCA: MSNBC's Joe Scarborough, Mika Brzezinski Admit CBS News Attempted to Poach Them". The Hollywood Reporter. January 7, 2012. ↑ Chris Ariens (November 10, 2011). "Charlie Rose, Gayle King to Headline New CBS Morning News". TVNewser. Mediabistro.com. Retrieved December 27, 2011. 1 2 3 4 "CBS' Morning Glory?". The Biz column. TV Guide. January 5, 2012. ↑ Brian Stelter (April 23, 2013). Top of the Morning: Inside the Cutthroat World of Morning TV. Grand Central Publishing. ↑ "Something new coming to morning television". Boston Globe. Associated Press. January 2, 2012. 1 2 "CBS Kicks Off 'CBS This Morning'". TVNewser. Mediabistro.com. January 9, 2012. ↑ Bill Cromwell (November 16, 2011). "CBS: We're going hard news in the am". Media Life Magazine. Retrieved December 27, 2011. ↑ "What's Going on Behind This Wall?". TVNewser. Mediabistro.com. November 1, 2011. ↑ "The Early Show Leaving GM Building For CBS Broadcast Center, New Studio To Have Different Look". TVNewser. Mediabistro.com. September 16, 2011. 1 2 "'CBS This Morning' debuts Monday, January 9". CBSNews.com. January 4, 2012. Retrieved January 7, 2012. ↑ Frazier Moore (January 13, 2012). "'CBS This Morning': A Worthy Wakeup TV Alternative". The Huffington Post. Associated Press. Retrieved January 14, 2012. ↑ Gail Shister (January 9, 2012). "CBS This Morning' Review: Mold Broken, Comfort Zones Stretched, 'An A for Effort'". TVNewser. Mediabistro.com. Retrieved January 14, 2012. ↑ Awards "73rd Annual Peabody Awards" Check |url= value (help). May 2014. 1 2 Brian Stelter (January 20, 2012). "First Ratings for 'CBS This Morning' Highlight Steep Challenges Ahead". The New York Times. Retrieved January 20, 2012. ↑ "Morning Show Ratings: Week of April 15". TVNewser. Mediabistro.com. August 13, 2015. ↑ "CBS Delivers its Most-Watched November Sweeps in the Morning Since 1993". November 29, 2016.